Use this expert guide to enhance your skills in implant surgery! 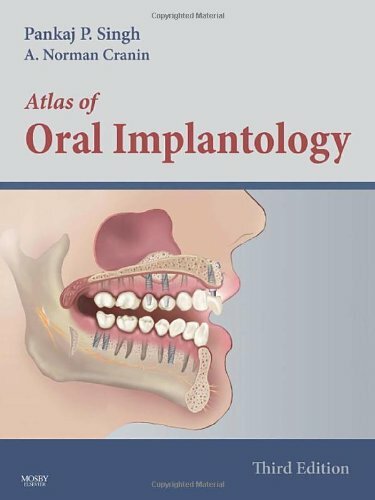 With more than 1,500 illustrations, this edition covers key topics including diagnosis and planning, basic implant surgery, advanced implant surgery, implant prosthodontics, and implant management. You will learn how to select patients who are best suited for dental implants, evaluate host sites, select the proper type of implant for each patient, and place dental implants step-by-step. You'll also learn to observe patients, diagnose incipient problems, institute remedial techniques for problems, and perform a wide variety of restorative modalities. "The authors should be congratulated on a fine effort. It is worth more than a glance if one of your restorative colleagues has a copy, if only to update your knowledge on the subject." European Journal of Orthodontics, June 2010.